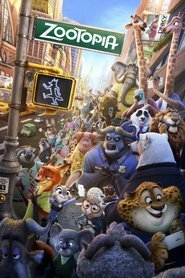 Overview... cape buffalo in charge of the police department of Zootopia, a city in an all-animal world. He is the definition of no-nonsense – Chief has no time to introduce new recruits, especially when they’re puny rabbits. He has a grim outlook on the world, which gives him purpose in life. Chief Bogo keeps the world from spiraling into chaos. Personality... serious, honorable, and intimidating. One look at Chief Bogo’s stern face and imposing demeanor tells you enough not to mess with him. Deep down he might be a fan of pop star Gazelle, but he likes to keep that to himself. He has a demanding mayor to work for and a town gripped with panic after word spreads that mammals are reverting to their most aggressive animal insticts. Chief Bogo's popularity ranking on CharacTour is #2274 out of 5,000+ characters. See our top-ranked characters and read their profiles.